All Wolf Ceramics studio wares are made with red and golden stoneware clays. They are hand thrown and intended for every day use. Though they are dishwasher and microwave safe, hand washing and handling with care will extend the life of your ceramics. Hand washing is recommended particularly for pieces with colored underglaze designs on the edges. Please feel free to contact Sarah with any questions. These wares are microwave and dishwasher safe. 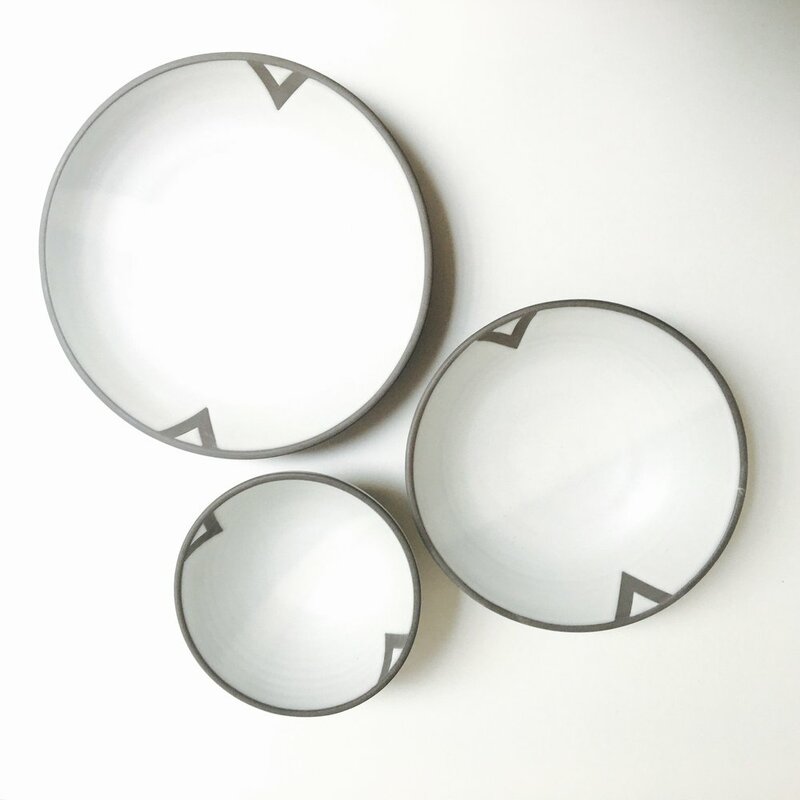 They are hand made in Portland by the use of two part press molds, created from Sarah's hand thrown forms.